In Megillah 4.6, R. Judah says: "He that has never seen the light may not recite the Shema' with its Benedictions." I interpret "has never seen the light" as "blind" (rather than lacking inspiration or worthiness) since the previous line talks about how the blind, specifically, "may recite the Shema with its Benedictions and recite." Why did R. Judah not see the blind fit for reciting the Shema with their benedictions? Did he perceive their blindness as a blemish, and therefore an emblem of their lack of unworthiness? Does his standpoint (concerning the blind and recitations of Shema) hold any influence on any sects today? I hope not, but I'm just curious. The context of that Mishna is discussing who is fit to lead the congregation in prayers, and in particular that line is part of a dispute if a blind person can lead the prayer of Shema and its blessings. (Note "leading" here means reciting the entire section aloud for the congregation to hear and fulfill their obligations by reciting Amen at the end of each blessing.) The first blessing before Shema is a blessing about the creation of light and the diurnal changes between night and day. According to R. Judah, a blind person who doesn't experience that can't say that blessing for others, while the opinion before his says he may (because, as the Talmud (24b) explains, a blind person benefits from daylight as through it others become better able to assist him). This has nothing to do with "worthiness". Not the answer you're looking for? Browse other questions tagged shema see-sight-vision-blind handicap-disabled-impair tractate-megillah . Why no repetition of the Shema in shul? 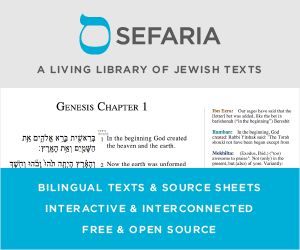 What's the source for the phrase in Krias Shema al HaMitah: : …בְּשֵׁם יְיָ אֱלֹקֵי יִשְׂרָאֵל and to recite it 3x? Why do some people say the end of the 2nd bracha before Shema with the Shat"z?